By investing in a kitchen remodel for your North Dallas, Texas, home, you can increase the beauty, functionality, and value of your house. To make certain the visions you have for your updated kitchen come to life, turn to the trusted experts at Star Home Remodeling. We have been helping homeowners customize their homes since 2007, and we’d be delighted to do the same for you. As a full-service home improvement company, we can expertly handle every aspect of your renovation. We’ll begin the process by meeting with you at our showroom or your home. During the consultation, we’ll learn all about the changes you’d like to make to your kitchen and educate you about all of the fantastic products and services we offer. We’ll ensure you have all of the information you need to make the best decisions for your project. Additionally, we’ll be upfront and transparent about all costs so that you don’t have to deal with any unpleasant surprises down the road. What’s more, when you partner with Star Home Remodeling for your kitchen remodel, you can rest easy knowing that highly talented and professional technicians will handle the entire installation for you. In fact, our hard work has earned us a number of accolades throughout our years in business, including multiple Best of Houzz awards. To get one step closer to enjoying an updated kitchen, contact Star Home Remodeling today. 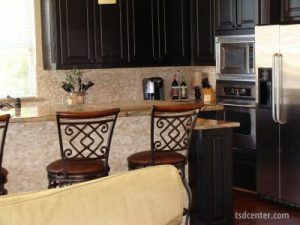 One of our knowledgeable associates will be happy to answer any questions you have and speak with you in depth about the kitchen remodel we can complete at your North Dallas, TX, home.